All of this week's freebies are somehow related to compression. In fact, there are two actual compressor plug-ins, while the third is a filter that's lifted directly from a pre-existing compressor. 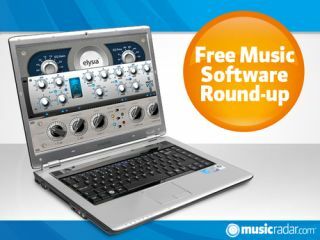 You may be familiar with Elysia's Mpressor, a powerful and flexible compressor plug-in. Now the Mpressor's niveau filter can be yours for free: this is designed to change the proportions between high and low frequencies, and can "Add punch to muffled snares, reduce the harshness from active pickups, and create some wonderful dub and lo-fi sounds". Said to be inspired by the smooth dynamic and tone shaping capabilities of some high-end mixing consoles and channel strips, this is an opto-electric style compression unit. The developer reckons that it "offers everything you need to shape your channel's dynamics and tone". This is effectively four compressors in one plug-in, with each having access to the same Threshold, Ratio, Attack and Release controls. Just select the one you want to tweak by clicking A, B, C or D. If you want to see it in action, check out Sir Elliot's developer's 'bench test' video.